*The lens, mic, viewfinder, wireless receiver and battery pack shown in the photo are optional accessories. Automatic FTP Transmission and On-Air Streaming. Combining high-end image quality with cost-efficient operation, the AJ-PX5000G meets the new needs of broadcast workflows for the networking age, and sets a new standard for ENG. AVC-ULTRA*1 codecs let you choose the quality and bit rate that suit your application from AVC-Intra200, which produces images that approach the level of uncompressed master quality; the popular AVC-Intra100/50; AVC-LongG50/25, with low-bit-rate operation and Full-HD 1920 × 1080, 4:2:2, 10 bit image quality; and AVC-LongG12, with 8 bit, 4:2:0 images and extended recording time. Dual codec recording is also possible with the low-bit-rate and high-quality AVC-LongG6 codec (Proxy file/Full-HD 1920 x 1080), for breaking news. In addition to conventional P2 card slots, the AJ-PX5000G offers microP2 card slots, which dramatically reduce media costs. Featuring the 2.2-megapixel 2/3-type MOS image sensor, this advanced camera recorder achieves high F12 (59.94 Hz)/F13 (50 Hz) sensitivity and excellent images with an S/N ratio of 62 dB. 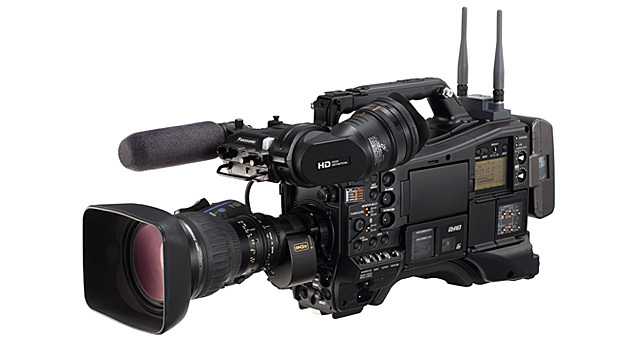 Also enabling progressive full frame 1080/60p*2 and 1080/50p shooting, the AJ-PX5000G supports camera output from a 3G-SDI/HDMI terminal, and line recording from a 3G-SDI IN terminal. IT operation via wired/wireless LAN** or 4G/LTE** connection is enhanced by a number of network functions, include Previewing, Remote Operation, and Playlist Editing as well as a Rec During Upload function that automatically transfers data to a network server while recording, and on-air streaming of Full-HD images. This all contributes to a smoother ENG workflow based on networking and IT operation. **: For details, refer to "Notes Regarding Network Functions". 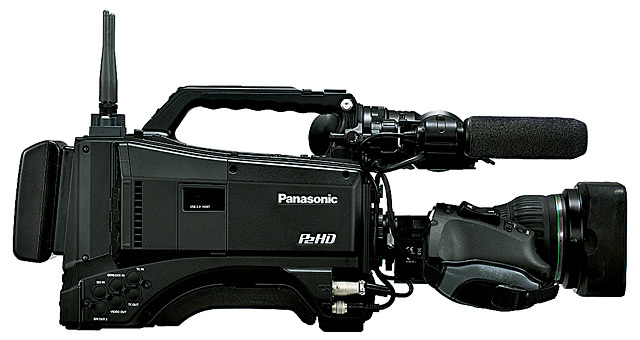 *1: AVC-ULTRA is the name of Panasonic's professional video codec family. The AJ-PX5000G does not support all of the formats included in the AVC-ULTRA family. *2: 60p is actually recorded at 59.94 Hz. Recorded clips (proxy or actual files) are uploaded directly from the AJ-PX5000G to a network. The new Rec During Upload function automatically uploads files to a network server in the background while recording. 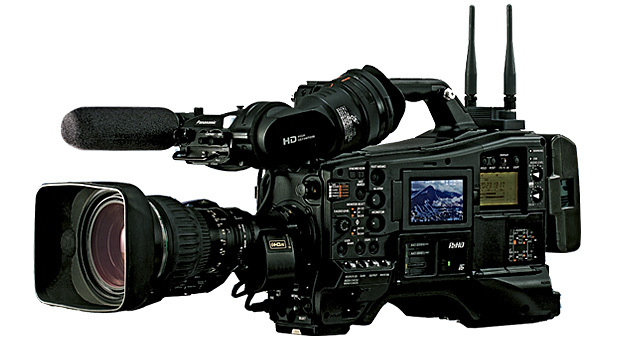 On-air streaming (via the internet) is possible while recording mainstream video onto a memory card, using only the AJ-PX5000G. This QoS (Quality of service) mode allows proxy images in Full-HD resolution to be streamed at a low bit rate by optimizing the bit rate to match the network condition. Wireless connection is supported via a wireless LAN. Clips recorded by a PC/Mac, tablet device or smartphone can be previewed and metadata can be checked and edited. P2 ROP App for iPad is also provided for multifunctional camera remote operation. Even smoother operation is possible by using a cloud service. Proxy files that are automatically uploaded to a cloud server can be edited (remote playlist editing) from a network, and only the necessary data can be sent from the AJ-PX5000G to an ingest server. 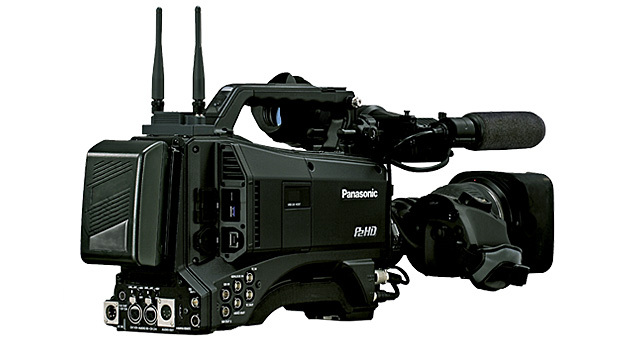 · P2 Cast: P2 Cast is the cloud service Panasonic provides for broadcast and production use. · Apple App Store and iPad are service marks or trademarks of Apple Inc. registered in the United States and other countries. faster and more stable live streaming and FTP transfers. IP connection (wired or wireless) with LiveU or TVU Networks devices enables parallel use (bonding) of multiple cell phone lines. Live streaming with the QoS mode gets a higher bit rate and more stable quality. And FTP transfers using a Rec During Uploading function gets also faster transfer speed and better stability to achieve a faster overall workflow. 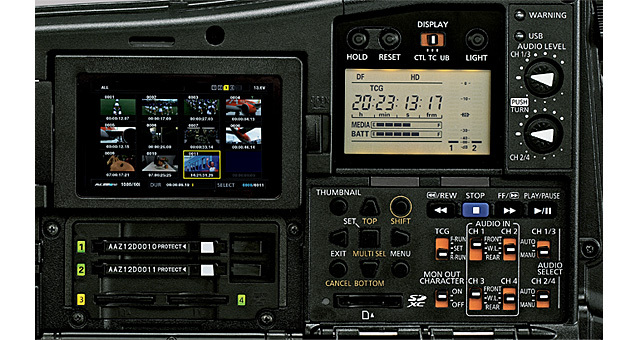 In addition, the status of the LiveU or TVU device is displayed in the camera's viewfinder to allow easy confirmation of the network connection conditions. Combined with Panasonic's P2 Streaming Server (P2SS) and P2Cast, this produces a comprehensive solution for a variety of broadcast needs. * An example of AJ-PX5000G.